Re-entering the list on the 10th spot is Guddan Tumse Na Ho Payega. The show has been on and off the list for a while now and this time it is back with 2.4 points. Witnessing a minor rise up the list to the 9th spot is Kumkum Bhagya as the show grabbed 2.6 points which is also a slight rise in the numbers. RadhaKrishn lost some numbers this week and also fell to the 8th position as it fetched 2.6 points. Surprisingly, Taarak Mehta Ka Ooltah Chashmah actually lost some points to 2.6 points as compared to last week but went one spot up to the 7th position. Super Dancer Chapter 3 not only lost considerable numbers to 2.7 points but also got kicked out of the Top 5 at the 6th position. Inspite of fetching the same amount of numbers as last week, Kundali Bhagya, with 2.8 points rose one spot up into the Top 5 on the 5th position. Making history and beating both the bhagyas is a feat to be proud of indeed. That is what Tujhse Hai Raabta did this week as the snow topped the charts for Zee TV and grabbed a phenomenal 3.2 points on the urban charts. The rise and rise of the show have been inspiring indeed. After constantly falling for 2 weeks, a sort of redemption for The Kapil Sharma Show Season 2 this week. It is up now on the 3rd spot with a good 3.2 points. 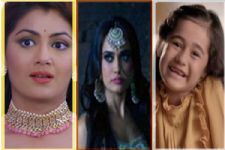 Even though Naagin 3 saw a loss of some numbers at 3.5 points, the show went on to maintain the 2nd spot. For four consecutive weeks now, Khatron Ke Khiladi - Jigar Pe Trigger remains unfazed at the top spot. Even though it has lost some numbers at 3.7 points, it did not budge the top position. 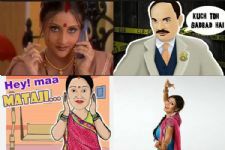 Tujhse Hai Raabta's amazing feat and the shuffle of several shows was indeed the highlight of the week. Congratulations Team Guddan and best wishes ahead ... Guddan:Tumse Na Ho Payega rocksss!!!! Congrats Team Guddan:Tumse Na Ho Payega. Hope in the coming weeks also our show will remain at the top chart. Loving Nishant Malkani and Kanika Mann as Our Akshan. Congrats to the whole team of Guddan:Tumse Na Ho Payega for being in the top 10. Nishant Malkani & Kanika Maan are doing a great job as Akshat & guddan. Congrats Guddan:Tumse Na Ho Payega Team for re entering Top 10 with an increase in TRP. Hope it keeps on increasing in the coming weeks too. You guys are doing an amazing job. Keep rocking. Nishant Malkani and Kanika Mann Keep shining as our Adorable Akshan. No Fathers in Kashmir brings Kashmiri music to the forefront! No Fathers in Kashmir, FINALLY gets a release date after 8 months!